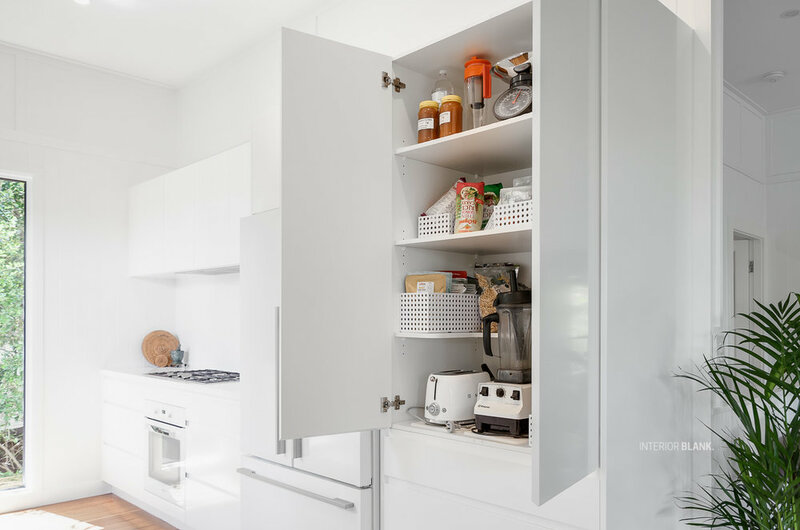 Kitchen renovations Bangalow_White satin 2pac cabinets_fingerpull handles_Quantum Quartz Stone benchtops_VJ wall Panelling_white kitchens. New vertical window. You should see the before and afters of this kitchen!